Roger Federer brushed off the rumour saying that he'll extended his break all the way into the New Year. He wrote this on Facebook yesterday. "I have been back practicing and training now for some time and all is going well. I feel much better. I am looking forward to playing my hometown tournament in Basel . I have also had a chance to spend some amazing time with my family. Myla and Charlene are doing great. After training yesterday, Mirka and I took them for a walk along Lake Zurich. I am always excited to be back in Switzerland!" 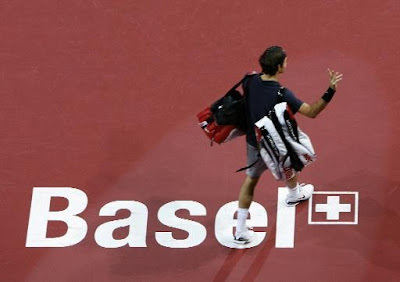 Federer will be playing on his home soil in Basel again to defend his Davidoff Swiss Indoors title which he has won from 2006 to 2008.